Our latest book-signing event, in Sydney on 9 August, was enormous! We took over the entire conference floor of the Pullman Hotel, and had authors spread over three conference rooms, as well as the corridor between. We had authors positioned in just about every nook and cranny! We were also able to debut our new ‘I Read Romance’ bags, which made perfect prize bags. In among our 88 signing authors were international guests Cherry Adair, Marie Force, Barbara DeLeo, Dani Collins, Jackie Ashenden, Louisa George, Maisy Yates, Rachael Herron, Sue Mackay and Sarah Wendell. 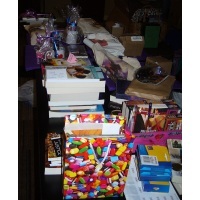 The authors outdid themselves with swag this year and many readers left with bags stuffed full of books and goodies. A special mention for Shannon Curtis and her inspired polish giveaways. We had about 130 readers through on the day, a little short of the record number we saw in Fremantle last year. As you can imagine the setup for the signing took several hours, and then it all seemed to be over in the blink of an eye. A huge thank you to the ever-helpful Sydney ladies (Helen, Barbara, Laine and Lyn) for coming early to help us set up, and then staying to help with the packing up as well. 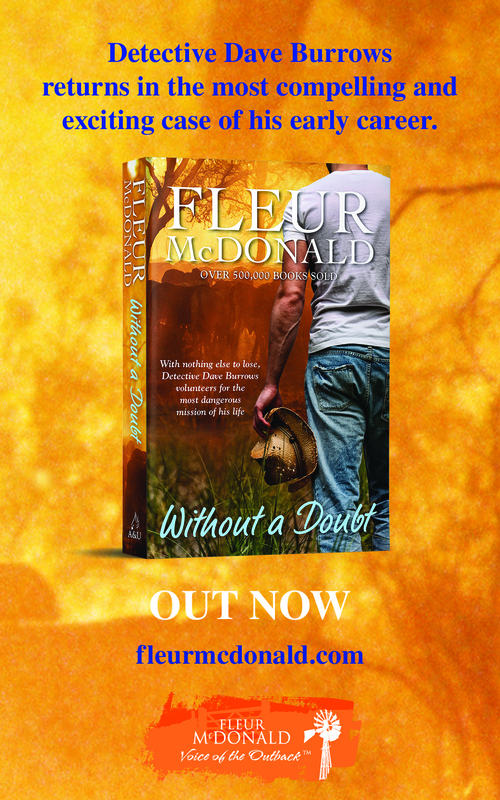 Thanks go to Harlequin for again supplying free books by their Mills & Boon authors—readers really love these. And thanks also to Mark from Your Bookshop for agreeing to be the bookseller at the signing. They did a fabulous job! Looks fantastic! I wish I could have been there, but I got to attend the Freo signing, which was awesome (not to mention incredibly well organised)! 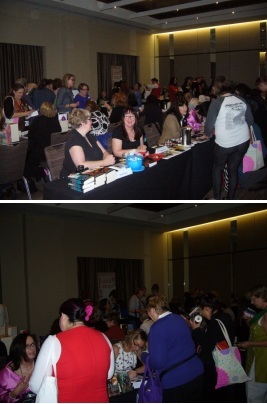 The Australian Romance Readers book signing in August in Sydney was amazing. Loved it! Huge thanks to all the organizers. Loved the book signing. Thanks to everyone for all their hard work. Much appreciated. It was a fabulous event. Thank you to all the organizers and volunteers as well as those who donated time, money and goods. ARRA is a brilliant organization!